Coalition for Jewish Values seeks to counter media's citing of mostly leftist Jews as representative of American Jewish positions. A group of prominent Orthodox rabbis and thinkers have launched a new American rabbinic organization to counter the media’s tendency to cite left-wing partisans in the American Jewish community as representative of mainstream Jewish thought. The new organization is called the Coalition for Jewish Values (CJV). 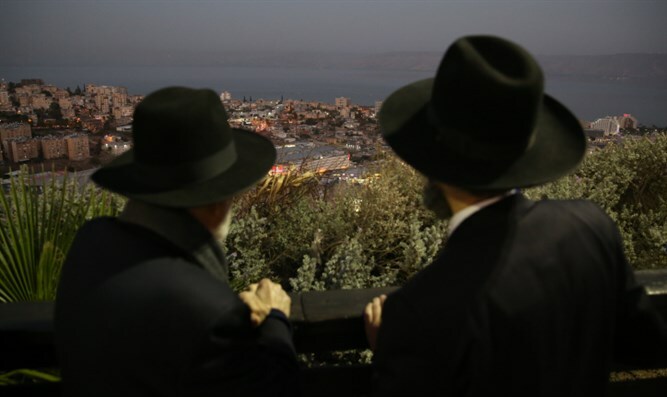 "The media tends to solicit statements on Jewish concerns most frequently from those who equate Jewish beliefs with the latest trends in liberal political thinking,” said Rabbi Yaakov Menken, Director of the CJV. "We wish to clarify that Jewish values emerge only from the Torah and millennia of Jewish thought." CJV's Rabbinic Board consists of nationally known rabbinic leaders from both Modern Orthodox and haredi circles. "I am very impressed by our consensus on the important issues of the day, and the need to speak out in favor of traditional Jewish thought," said Rabbi Pesach Lerner, Executive Vice President Emeritus of the National Council of Young Israel and a Senior Rabbinic Fellow of the CJV. The CJV made headlines with its criticism of an initiative by a group of 'Open Orthodox' leaders on 'Spiritual resistance' to the Trump Administration as unrepresentative of the positions of mainstream Orthodox Jews.